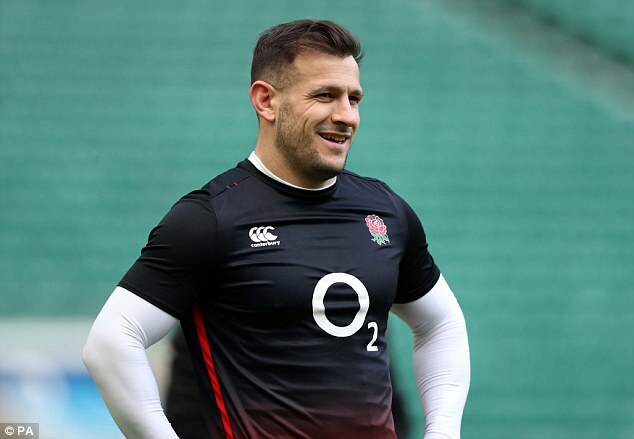 Danny Care will only celebrate becoming England’s most capped scrum-half if Wales are dispatched in his most eagerly awaited fixture of the season. Care will surpass Matt Dawson’s record of 77 Red Rose appearances when Wales visit Twickenham on Saturday after being asked to fill the vacancy left by Ben Youngs’ NatWest Six Nations-ending knee injury. World Cup winner Dawson has already been in contact to offer congratulations, and his family – including son Blake decked out in his ‘Care 9’ jersey – will be present for a day that must end in triumph if it is to be truly savoured. ‘It’s a massive honour to overtake Matt, who was a hero of mine growing up. I loved the way he played the game, so to overtake him in caps is brilliant.’ Care said. ‘He texted me last weekend to say well done when I equalled his record, but he said he’d save the soppy one for Saturday. ‘It’s a massive game any time you play Wales in the Six Nations. It’s the one you get up for, you think about all season and it’s coming this Saturday.